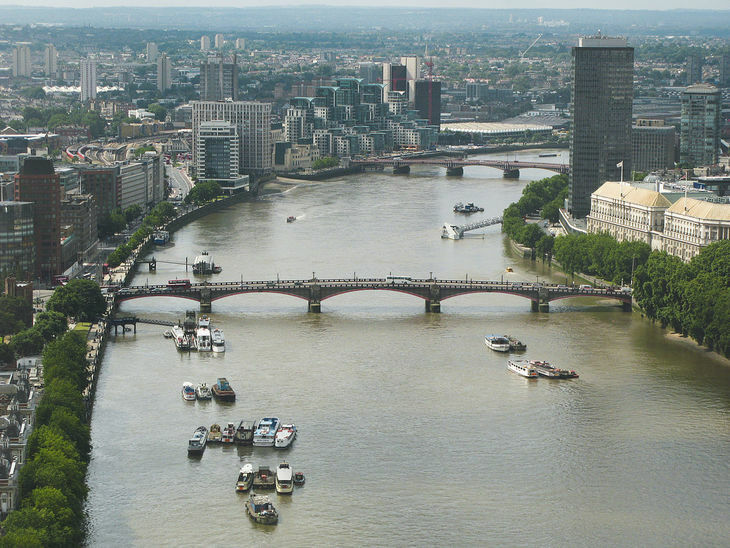 From its ancient beginnings to its role in several recent Hollywood blockbusters, here are our favourite facts about Lambeth Bridge. Lambeth Bridge, photographed from upstream. 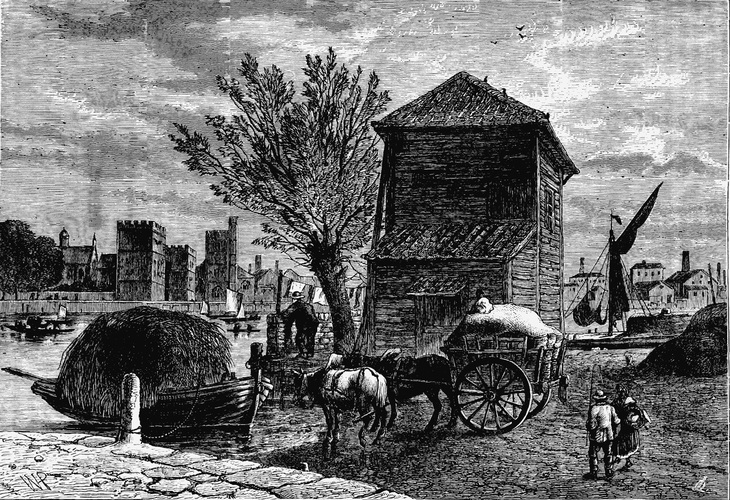 The first recorded account of London's horseferry, which operated on this site, is from 1513. The old horseferry. Photo from british-history.ac.uk. For many, many years, if you wanted to cross the Thames in central London with your horses, or your horse and carriage, the horseferry between the Palace of Westminster and Lambeth Palace was your only option. The ferry is commemorated today in Horseferry Road, to the north of the river. The first Lambeth Bridge was not a success. Despite there being an act in place for the building of a bridge on the horseferry site as early as 1737, it took many years for the bridge to actually get built. Various Acts were passed, and Bills presented, but it took until 1861 for the Lambeth Bridge Act to finally get a company to construct the bridge, at a cost of £48,924. It opened in November 1862. 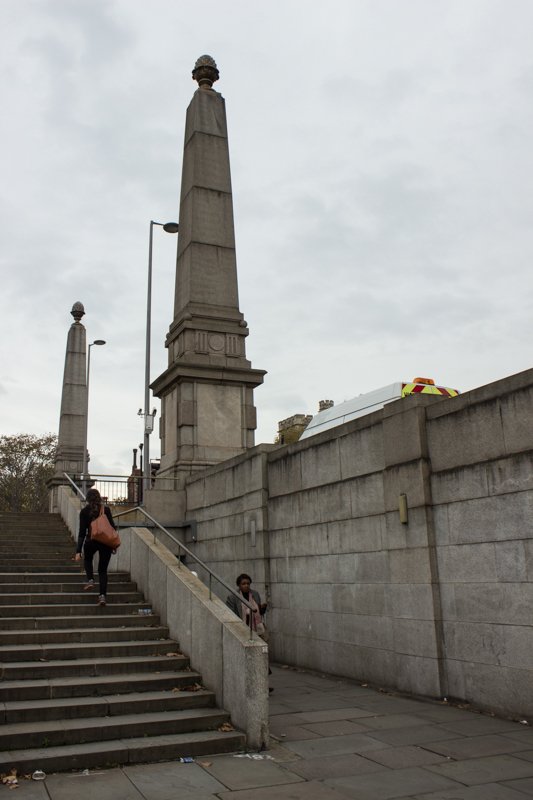 Lambeth Bridge, a stiffened suspension divided into three spans, was pretty poorly used from the start. 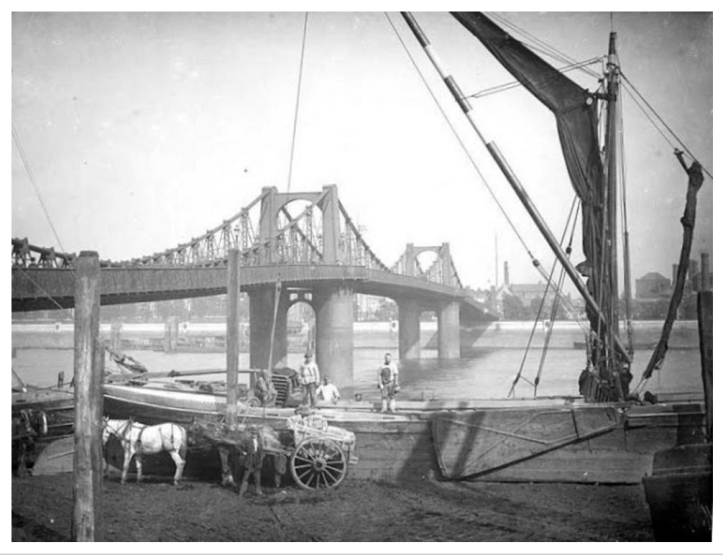 The first Lambeth Bridge. Photo from tradescant.blogspot.co.uk. It was steep and difficult for horse-drawn carriages, so was increasingly only used as a footbridge; within 17 years, it was already starting to deteriorate — its twisted cables had suffered from oxidation and the girders were also rusting badly. 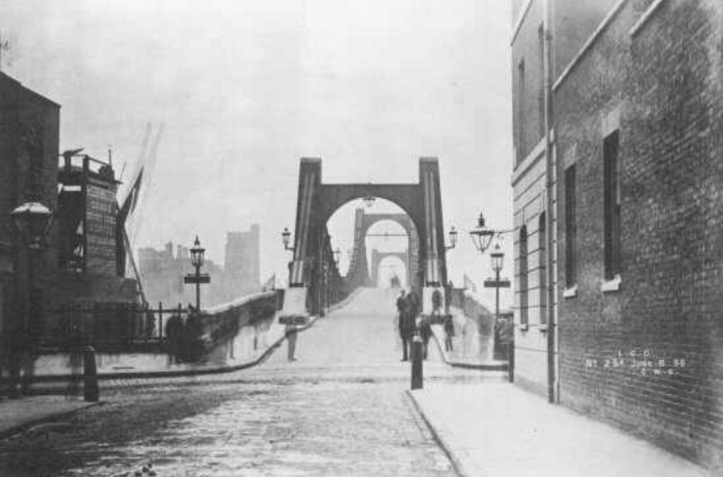 Photo showing the steep approach to Lambeth Bridge, c 1900. It closed to vehicle traffic in 1910. In 1924 the London County Council obtained parliamentary powers to construct a new bridge and to widen and raise the approaches at either end. The new bridge was completed and opened in 1932. 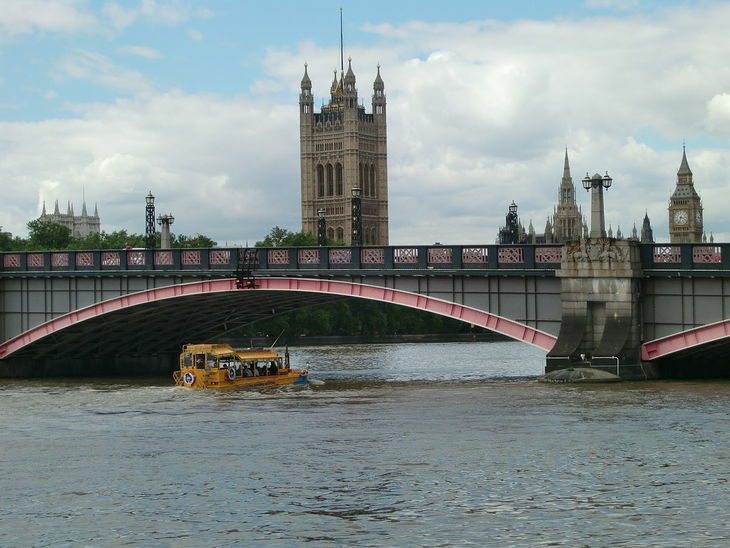 Today's Lambeth Bridge was opened on 12 July 1932 by King George V and Queen Mary. It's a 236.5m five-span steel arch bridge, and is carried on granite-faced reinforced concrete piers and abutments. These five spans aren't all the same size. The largest, in the centre, is 50.3m; next to this are two medium spans of 45.4m; and then the two shorter shore spans are each 38.1m long. 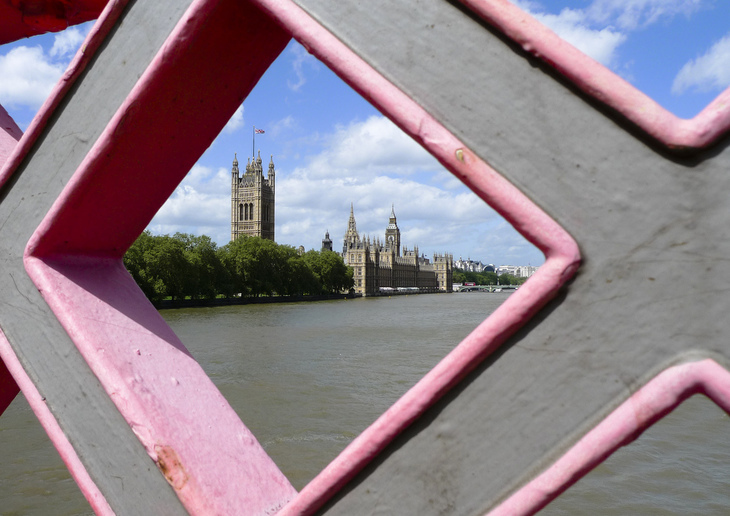 This structure gives Lambeth Bridge a rather pleasing shape. River Thames and Lambeth Bridge (as seen from the London Eye). Photo: Creative Commons. It's still quite a narrow bridge, just 18m wide. In 1999, the road layout was changed from four lanes to three: there's a buses-only lane flowing eastbound. Lambeth Bridge is painted red to match the seats in the House of Lords, the part of the Palace of Westminster closest to the bridge. The Palace of Westminster from Lambeth Bridge. Photo by Monica Shaw. Crests on the sides of Lambeth Bridge honour the London County Council, which was responsible for the bridge's construction. These crests support the granite lamps on the bridge's piers. The LCC crest sits on the granite pier to the right of this picture. Historic England also states that the 'lamp stands augmented by steel latticework pylons were designed to honour the bridge's inauguration by King George V' but doesn't say quite how. Lamps on Lambeth Bridge. Photo from . Perhaps the 'V' signs in the latticework nod to that particular George? Many people see the pinecones as more exotic pineapples, a fruity tribute to Lambeth's Tradescant family. Pinecones or pineapples on obelisks. Photo from londondiaryblog. John Tradescant the younger, head gardener to Charles I, is said to have grown the first pineapple in Britain; he's buried, alongside the rest of his horticultural family, nearby in the churchyard of St-Mary-at-Lambeth, which is now London's Garden Museum. Although it's a nice story, there's scant evidence to back up this tasty urban legend. Lambeth Bridge was built between 1929 and 1932 by Dorman Long & Co, one of the foremost bridge building firms of the era. The Tyne Bridge, built by the same firm as Lambeth Bridge. 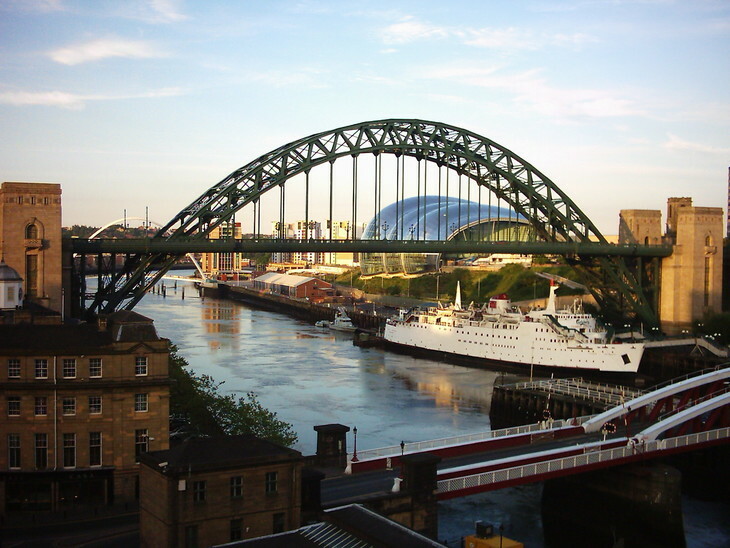 Other bridges made by the same building company include the Tyne Bridge in Newcastle; the Chien Tang River Bridge in Hangzhou, China; the 3km long Storstrøm Bridge in Denmark; and the Sydney Harbour Bridge in Australia. We take it for granted today that you can trot along the river's embankment walkway, or Thames Path, peek under bridges, hear a busker, and even learn about London's history without too much getting in your way. But this wasn't always the case. In 1965, Lambeth Bridge became the first of London's crossings to be tunnelled beneath to provide pedestrian access along the embankment. It took many more years of campaigning and development for the Thames Path to officially 'open' in 1996. Lambeth Bridge features in Harry Potter and the Prisoner of Askaban. The purple, triple-decker Knight Bus, rescuing Harry from another terrible holiday with the Dursleys, speeds over Lambeth Bridge, squeezing between two regular London double-deckers. 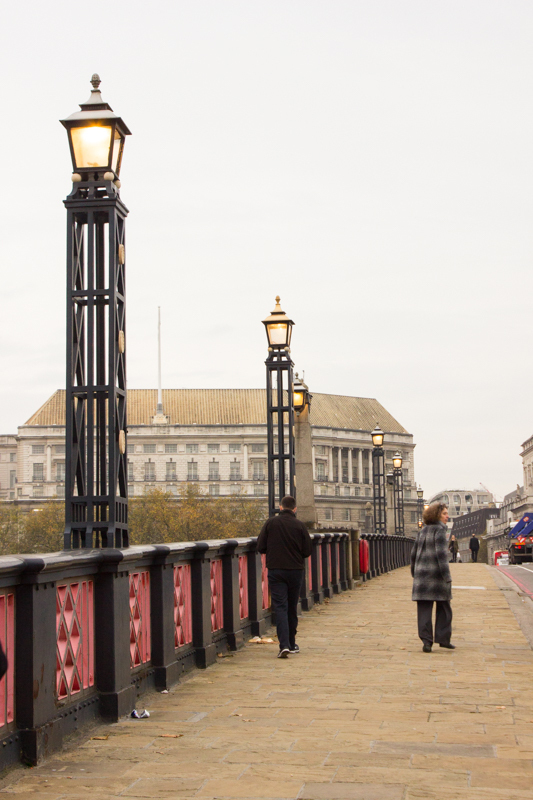 Lambeth Bridge is used as a film location for other films too, including Woody Allen's Match Point; Spooks film The Greater Good; and James Bond film Spectre where a boat and a helicopter race under and over the bridge. You can also see Lambeth Bridge and the surrounding buildings standing in for Moscow in Fast And Furious 6. Finally, there was this moment in 2016, when a bus exploded on Lambeth Bridge. It was a stunt for the Jackie Chan film The Foreigner, but freaked out a few unsuspecting Londoners at the time.